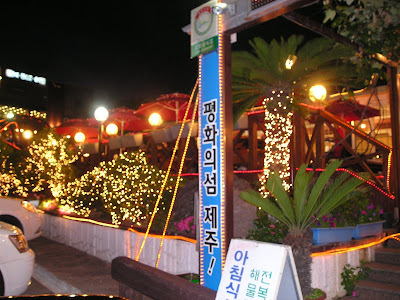 During our first night at Jeju Island, we went out and ate dinner at a Korean restaurant. 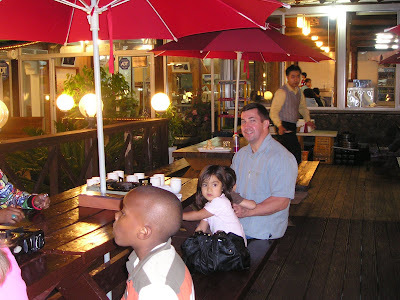 We ate Kalbi (not sure how they call it) but it was good. 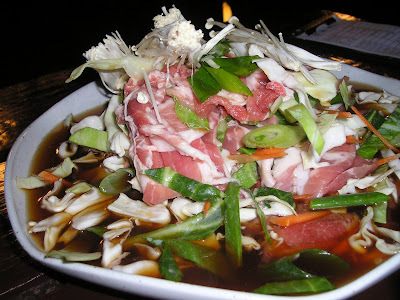 They gave us a big platter of thinly sliced pork marinated with some sauce together with veggies. Then we boiled the sauce and cooked the veggies and meat in three minutes. We ate it with rice, it was delish! 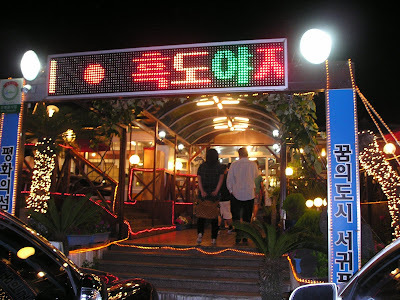 Here's the korean name of the restaurant hehehe. The ambiance was nice too. 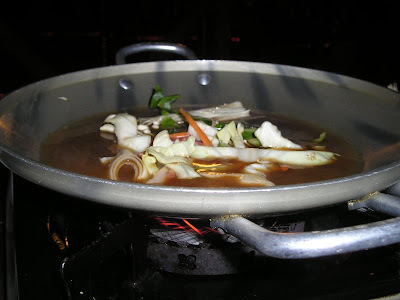 We cooked it in front of us, on top of our table.